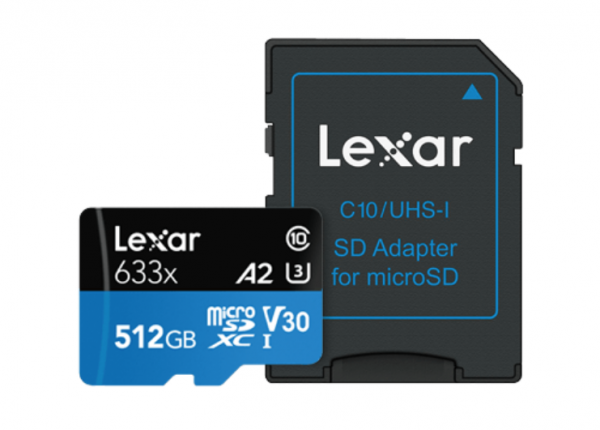 Lexar has announced the World’s largest A2 microSD Card. 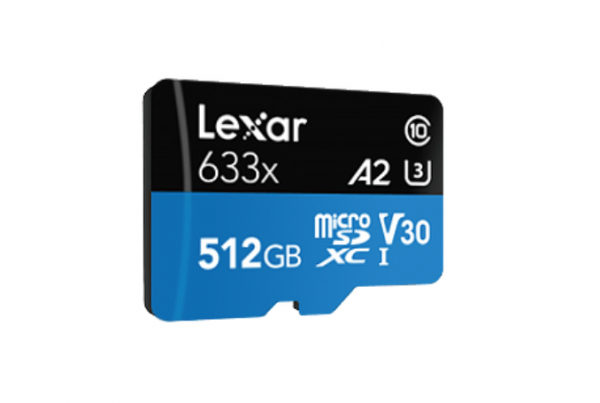 The 512GB Lexar High-Performance 633x microSDXC UHS-I card offers a large storage capacity and is fast enough to run in drones, action cameras, and Android-based smartphones. The card meets the Application Performance Class 2 (A2) requirements from the latest SD Association’s 6.0 specifications. The card is the largest capacity A2 microSD card on the market. A2 allows app-intensive users to experience higher minimum random write speed of 2000 IOPS and minimum read speed of 4000 IOPS. 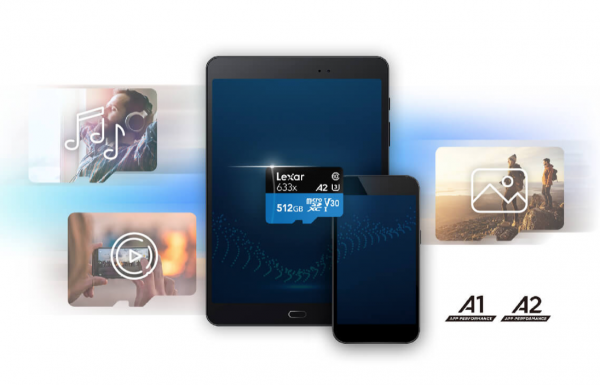 This ensures blazing speed to run and store apps directly on the A2 memory cards using Android Adoptable storage-enabled devices. Now, while it has been designed primarily for smartphones and tablets, it is fast enough to be used in other devices such as drones and action cameras. The High-Performance 633x microSD are speed rated at Class 10, and leverage UHS-I technology to deliver a transfer speed up to 100MB/s (633x). Given these specifications, it should easily be able to capture footage at up to 30 frames per second in 4K and 120 frames per second in 1080P HD as it meets the new UHS Speed Class 3 (U3) and UHS Video Speed Class 30 (V30) for 4K UHD. According to Lexar, all of their product designs undergo extensive testing in the Lexar Quality Labs with more than 1,100 digital devices, to ensure performance, quality, compatibility, and reliability. 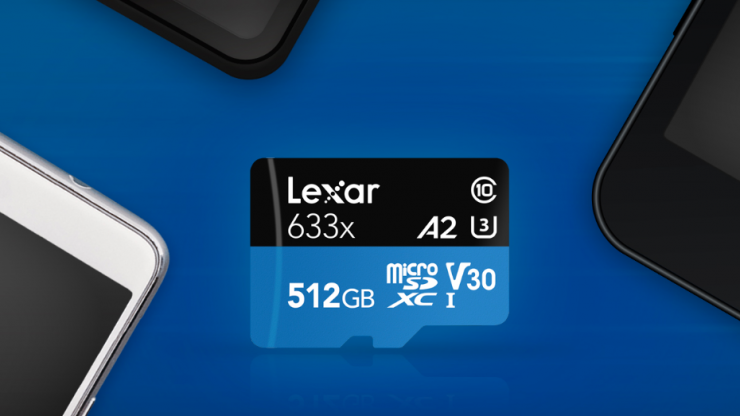 The 512GB Lexar High-Performance 633x microSDXC UHS-I card is available late-October at MSRP of $299.99 USD. This new card looks perfect for drones such as the DJI Mavic Pro 2 and action cameras such as the new GoPro HERO 7.